"It really helped that you were a physio as well as an ergonomic assessor and knew all about my problem, compared to our internal DSE assessor who didn't have any medical knowledge at all. Your equipment recommendations combined with treatment made all the difference in the end and stopped me going off work again." Do you have problems with injuries at work? Do you have problems with recurrent musculoskeletal injuries in your workplace? Injuries such as repetitive strain injury (RSI) and neck and back pain are the major causes of sickness absence at work, accounting for the majority share of productive days lost in British industry. What is your current sickness absence strategy? As an employer you could allow absent workers to self-manage their problem through the NHS with all the attendant vagaries and lack of communication that may involve. Unsurprisingly this may result in longer periods off work than desired leading to loss of profitability for your company, as well as the added physical and mental stress applied to co-workers in the production system. Liaising where necessary with your Human Resources department Lakeside Physiotherapy and Ergonomics can effectively assess, treat, and manage your workers’ musculoskeletal problems by providing regular or ad-hoc treatment clinics on-site at your premises. By providing specialist occupational physiotherapy services you can improve your productivity, eradicate NHS waiting times, allow your employees access to a vocational health practitioner, decrease time spent off-site, and expedite their return to work. While on site we can also ergonomically assess specific workplace areas contributing to clusters of injuries, or other issues relating to decreased productivity. Finally, the pre-existing concept of employees needing to be fully recovered from injury before returning to the workplace is now anachronistic. 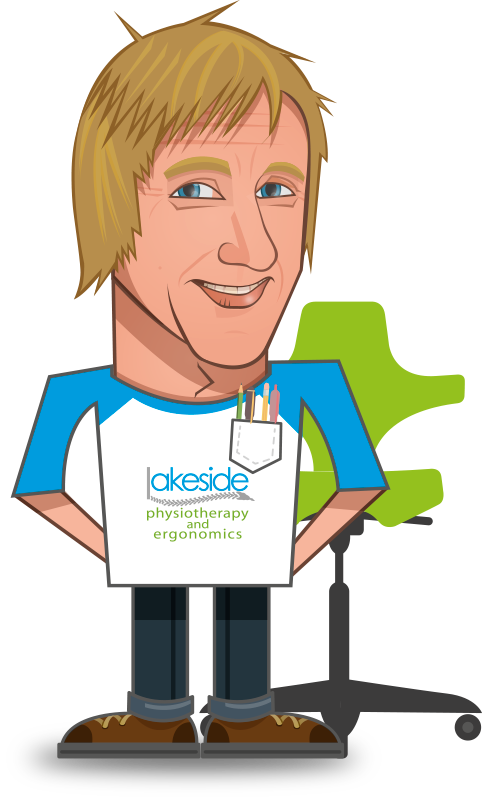 Lakeside Physiotherapy and Ergonomics can therefore assist you in implementing the advice and recommendations contained within the ‘Fit Notes’ that GPs now issue when they feel patients are ready to return to work. For larger businesses and companies in the Lincoln area Lakeside Physiotherapy and Ergonomics can treat your employees at our clinic in North Hykeham with the peace of mind that you agree their appointment time, know where they’re being treated, and also when their session has ended. A reduction on our regular private tariff can be agreed for ongoing referrals with the local business community.